Nizam of India originally served only Punjab-style cuisine. The word ""Punjab"" is a combination of the Persian words panj (Five), and āb (Water), giving the literal meaning of the ""Land of Five Rivers"". 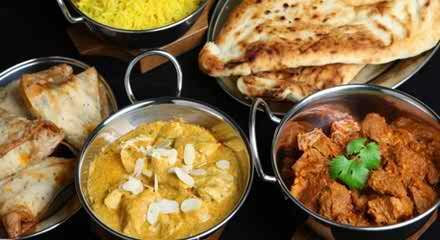 Punjabi cuisine (from the Punjab region of Northern India and Western Pakistan) can be non-vegetarian or completely vegetarian. One of the main features of Punjabi cuisine is its diverse range of dishes. Over the years we have added other popular Indian dishes from all over India. One of the most requested dishes is the Chicken Tikka Makhani, the House Special, and the Shimp Malabar. Try them! You'll be back for more! We also feature a all-you-can-eat lunch buffet every day! Our family welcomes your family to visit and try our home-style Indian cuisine next time you are in West Los Angeles. Also, if you can't stay to eat, we offer take out meals and delivery service!